The Black Panther film has been something of a runaway success. After the film, there’s been a veritable wave of Black Panther-mania capitalizing upon that, but one thing we’ve yet to see is a game. 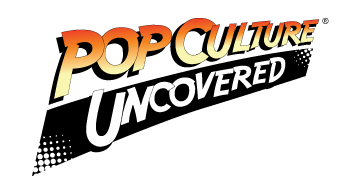 Not that one would want one of the endless parade of shovelware we got based on the comic book movies of the 2000’s of course, but the King of Wakanda deserves a AAA game all his own, and we here at Pop Culture Uncovered are here to brainstorm what that might look like. 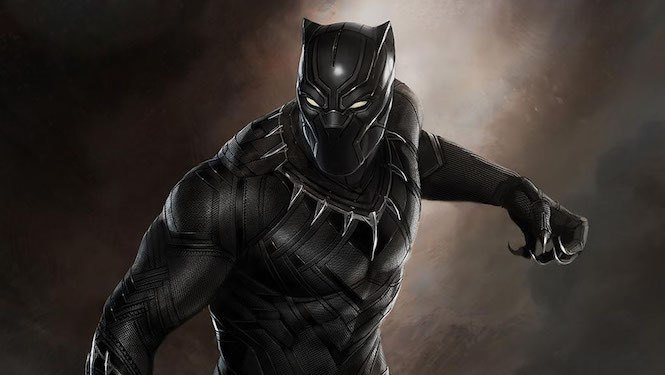 We took some time to talk it over, and came up with some ideas of what we’d like from a potential Black Panther game. Personally, I’d love to see an open-world vision of Wakanda. While it’s natural to want to go with the Arkham series and the mechanics it defined, you also want to distinguish the Panther from Batman. I’d say something in the vein of Just Cause or Countdown would accurately capture the faster pace necessary for a Black Panther game. As far as what a story would look like, I’d want to see an adaptation of Christopher Priest’s first arc of Black Panther with T’Challa busting heads in America trying to seek justice for his people and perhaps with Shuri as a second protagonist in Wakanda. It would also be a good jumping-off point for co-op and allow perhaps for other characters like Kevin Cole (aka the White Tiger), Okoye, or Killmonger to be used as well. The only limitation is the imagination (and of course the budget). A Black Panther game would have decades of inspired stories to draw off of, one hopes they would use it wisely. Unlike Slewo, I feel like a game based on Black Panther would actually benefit from at least some Arkham-esque combat mechanics. I mean, Black Panther is not only incredibly strong, but he’s also an agile and graceful fighter. So, having the ability to seamlessly move between enemy combatants while pounding them into the ground and unleashing blasts of kinetic energy would really drive home that feeling of power, speed, & grace that I see being so integral to the character. As far as setting and story go, I feel like the idea of an open-world game is a good one. However, I think I would like to see it more in the vein of The Witcher 3 (just imagine how pretty a BP game by CD Projekt Red would be), where we could have the option of taking on some good side quests. It could start off in Wakanda, and give us the ability to travel to various points around the globe; maybe tracking stolen vibranium, or hunting various MCU baddies. My main thing, however, is that a game based around any part of the MCU would have to be incredibly well-written and well-executed — and not rely solely on the popularity of the movie. I am going to be the contrarian of this piece because while I think the idea of a Black Panther game as expressed by my two colleagues would be cool, I would be afraid for its execution. First of all, we already know that there is a well-documented history of games based on movies that have not done well, especially superhero movies. While X-men Origins: Wolverine did marginally well, most of these games are done as an afterthought simply put out to get the dollars from the movie. On the other hand, done as a game in vein to what Doug and Slewo stated? Well first, Disney and Marvel would really need to do something to get the whole gaming division together and on the same page if they would ever hope to achieve anything close to the Arkham series with even just Black Panther. Personally, I wouldn’t want a game similar to Arkham because it would just be Black Panther vs….ARKHAM! As for a “Witcher-esque” game, not only would a good setting be needed but a tight story. But again for what it’s worth, as of right now, Marvel and Disney still have yet to give us a decent Marvel game, and there hasn’t been a good one since Marvel Ultimate Alliance in 2006. So for now, unless those two can get it together with any decent game, count me out for wanting a Black Panther game; because unless a lot is invested in it money, time and story wise, anything soon would be trash. And there you have it. There’s a variety of different routes that can be taken to make a Black Panther game, if you’re one of the ones who would like it. We all see something different in what would be a positive for one, but it means there’s a lot of potential in what Marvel could do to make one a reality. And considering how much money the movie has made (so far), there’s no reason not to go for a prestige game on one of Marvel’s biggest characters. Would you like to see a Black Panther game? Leave us a comment below!